A glorious array of classically beautiful ‘Court’ wedding bands, crafted and hand finished by Julian Stephens. This timeless and iconic Court wedding ring design measures 4 mm in diameter and you can select from a wide range of precious materials to find the perfect wedding band design. Every wedding band we create can be finished in a variety of ways to suit your style, from a high shine polished effect to a chic satin matt effect or add texturing, laythed lines or a hand engraved pattern to create a ring as unique as the union of your relationship. 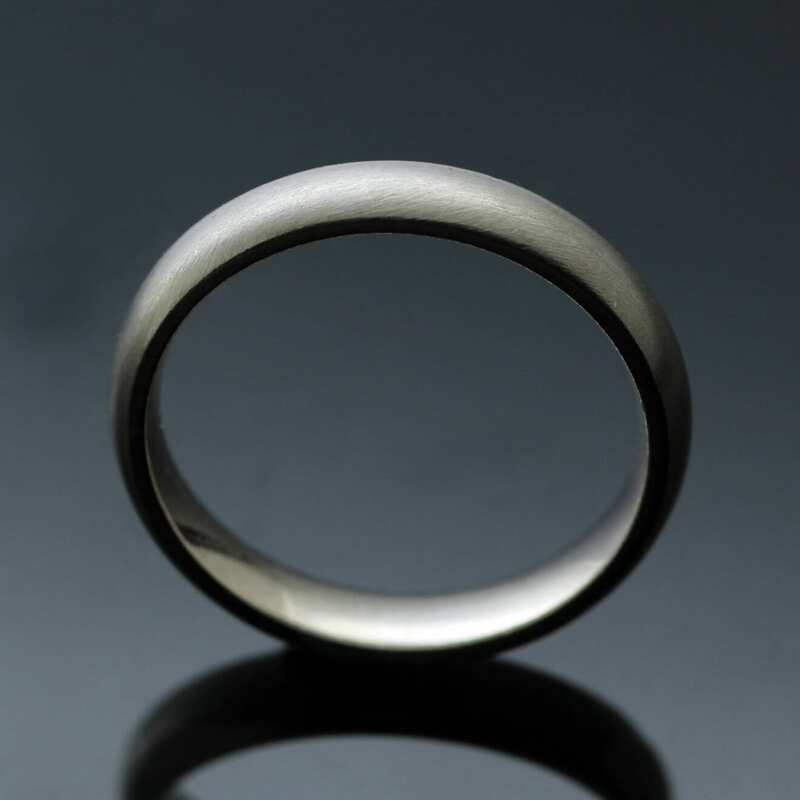 Contact us for details about the types of finish available for your special wedding ring design, alternatively you can browse our Bespoke section to see examples and inspiration to showcase the perfect and unique finishes touches we can offer. Your wedding band will be made to measure for a perfect and supremely comfortable fit, finished with Julian Stephens exclusive maker’s mark and Hallmark, as a celebration of craftsmanship and the highest quality of materials used to create our special wedding bands. Please note: all prices supplied for this design are estimations and should be used as a guide to assist you in finding your perfect ring. In order to receive a complete and accurate quote for your wedding band please contact us. Our quotes are prepared with no obligation to purchase and will factor in additional costs including your ring size, ring weight and finish.